Initiated by engageability and öbu, the project entered its third round in 2017, in close partnership with Business School Lausanne and RepRisk. Support was also provided by a top-class consortium of multi-stakeholder experts, the Federal Office for the Environment (FOEN) and the World Business Council for Sustainable Development (WBCSD). 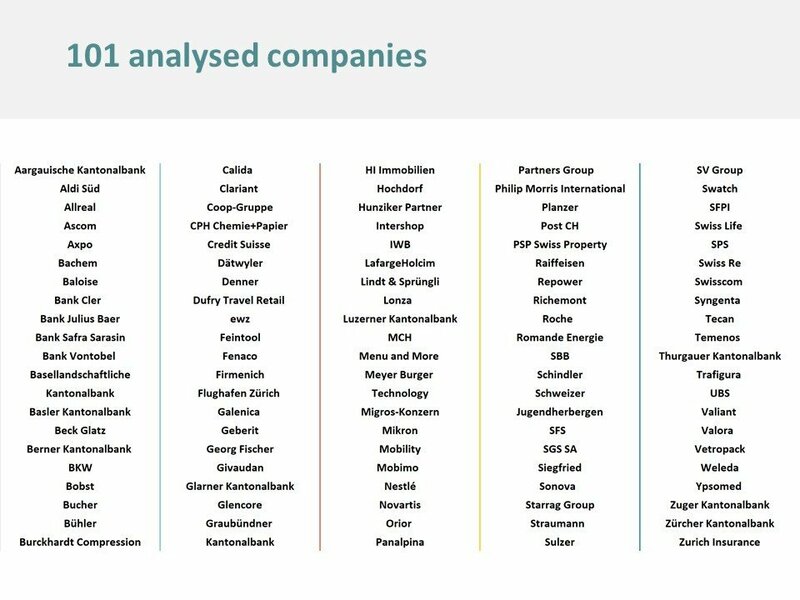 The 2017 analysis covers 101 sustainability reports and is the largest analysis of this kind ever conducted in Switzerland. Hence, it highlights current trends and practices in a representative manner. The primary objective of Focused Reporting is to promote comprehensive sustainability reporting, which at the same time appears credible and places emphasis on relevant sustainability issues. Find out more about the results & methodology. 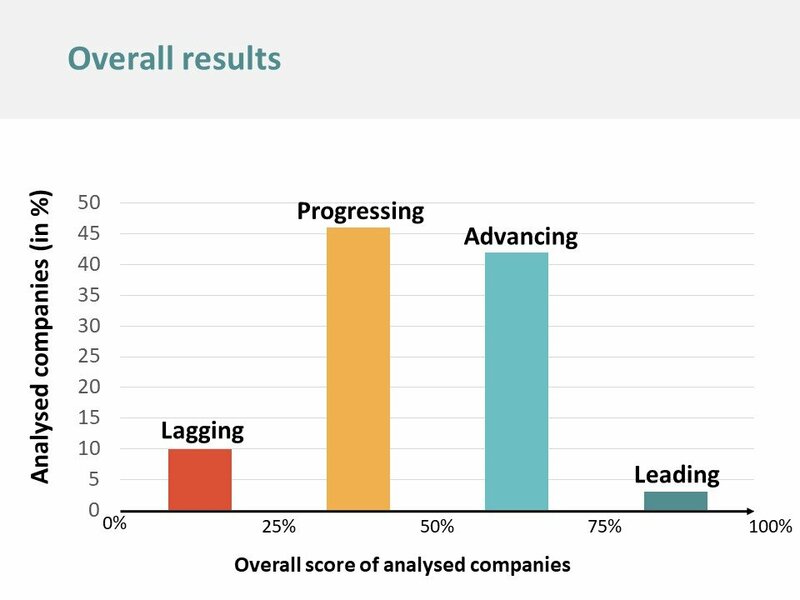 With 101 analysed sustainability reports from Swiss companies representing 14 sectors, Focused Reporting represents the most comprehensive national benchmark study. Through a careful selection process, a representative sample was selected. What are the key results? Among the three “Leaders”, there are 2 multi-national companies and 1 small sized company. Sectorwise, “other service providers” achieved the highest average score. Biggest room for improvement remains within the “real estate” sector. How can I enhance my report? 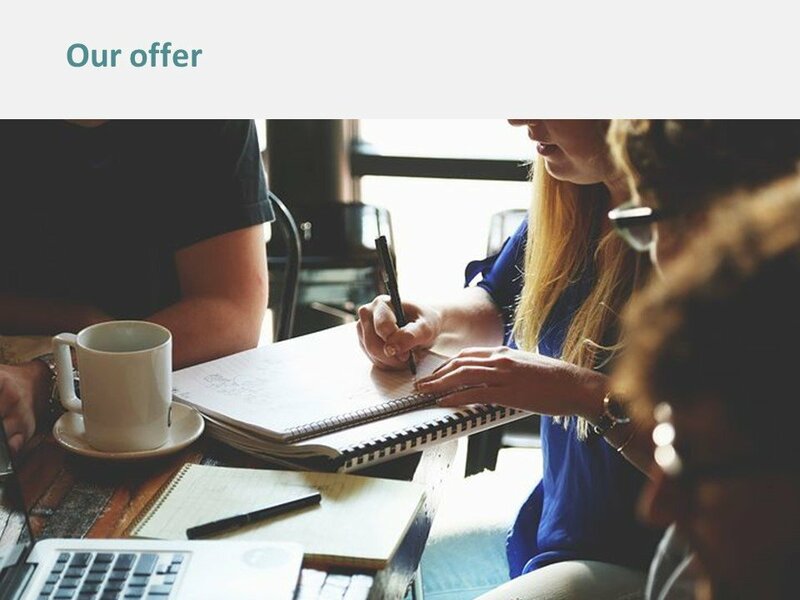 Learn more about our offers, which include the provision of results of your current report and recommendations for future reports. We also offer specific advice on your reporting strategy, materiality analysis, stakeholder panels, and more.